Amazing Power Patterns was built around the most basic reality concept of their only being three things a stock or index can do. Simply stated, up, down or nowhere. It can be no other way. That being said I wanted to keep it simple when it came to looking at stock ideas long or short so it was designed around that cornerstone upon which there are only three things you need to know to be successful. In the stock market there are only three things you need to know. Uptrends and how to trade them. Downtrends and how to trade them. Change in trends and how to identify them. Within each of these three areas are what I call “The Amazing Power Patterns”. That’s what this site is all about. On a daily basis I am always talking about the Amazing Power Patterns, what to watch for, what to watch out for. When to buy, when to sell/sell short. 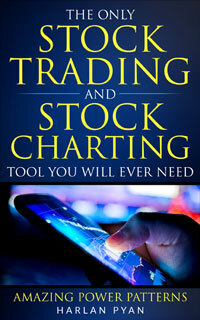 How to use the tools of the trade all designed for you to not only survive regardless of what the markets throw at you but also thrive.